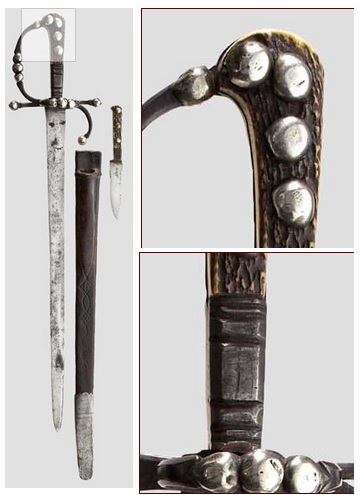 I have started to work on a 17th century German hunting sword, something along these lines: picture 1. So far, I have only worked on the blade. The basic shape was made a long time back, and I have it hardened and tempered at a local company. 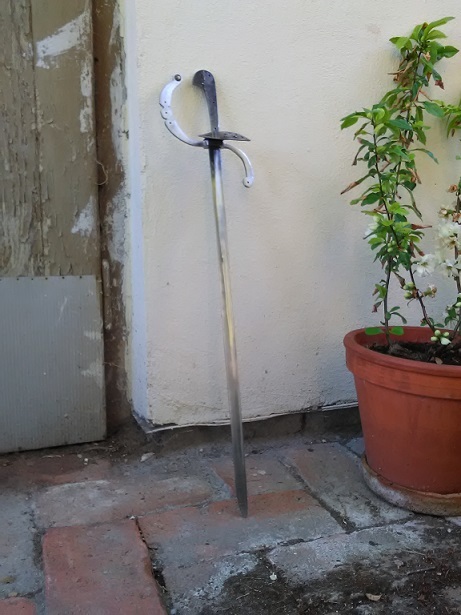 Last weekend I have re-profiled the blade a bit (making a long, broad fuller), and did some first cleaning & polishing (picture 2). 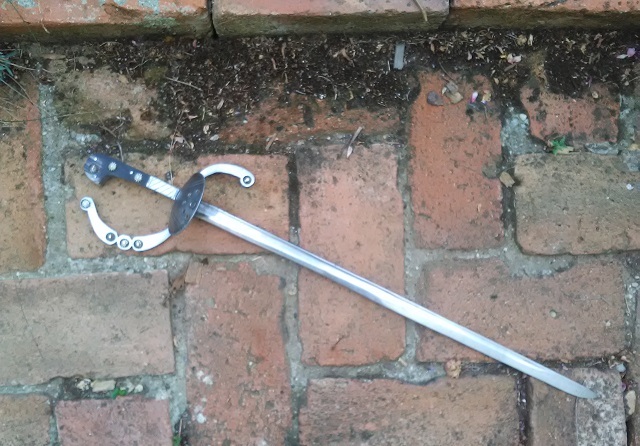 Now the question is: how would be hilts on these swords constructed? Probably it would not be possible to slide them "from the pommel" - the slot would need to be too large. If I slide through the blade, how to secure it? Should I pin it through the blade? The slot in the guard is long enough to allow it to pass over the big end of the tang. The base of the blade has a narrow section the length of the slot and depth of the guard. If you were to remove the scales and look down at the top of the cross, you would see the top of the blade, flush with the top of the guard. The guard rests on the shoulder created by that narrowed section. I still have the imprint on my forehead from when I realized how this is done. 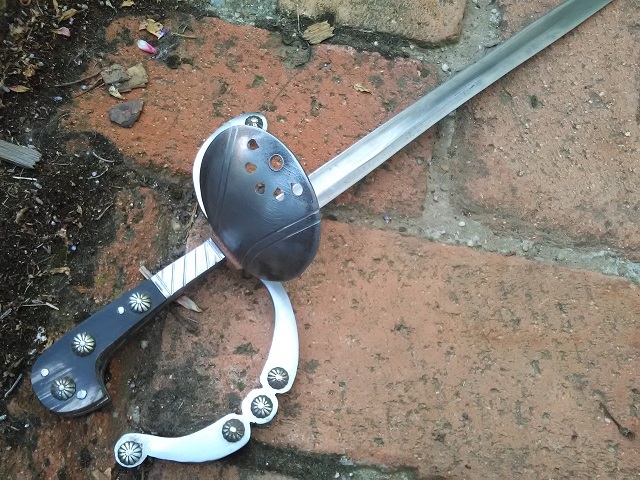 If the pommel is wider than the blade shoulders and you don't want to reduce it, putting the guard over the blade and pinning it is a valid method (even if not the one used on this type of sword). I had a duh moment myself recently when Dale Martin pointed out to me that that's how M1 bayonets were constructed. Thank you for all your suggestions, they were very helpful. 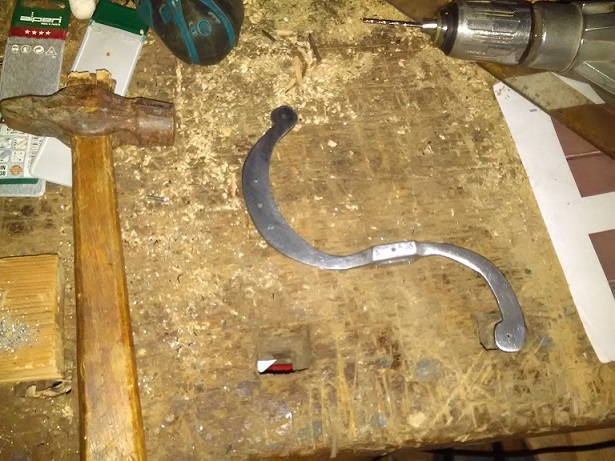 In the end I decided to put it over the blade.Unfortunately, reducing the pommel was not an option: the jagdmesser I´m trying to re-create has it usually quite large. I was working on the project over the weekend. 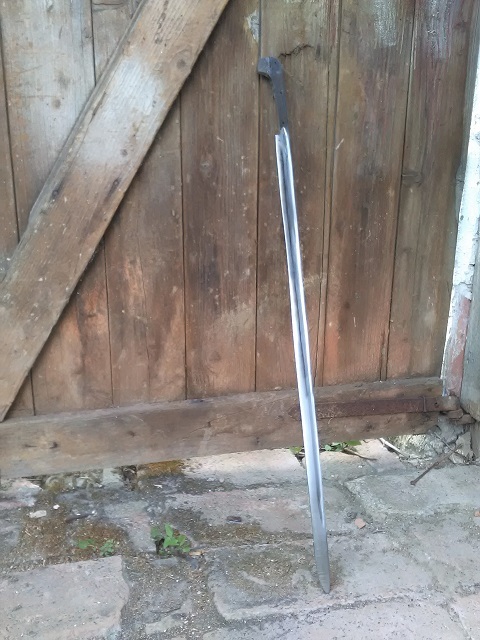 The cross-guard was made from a bar of soft steel, 2*1 cm. 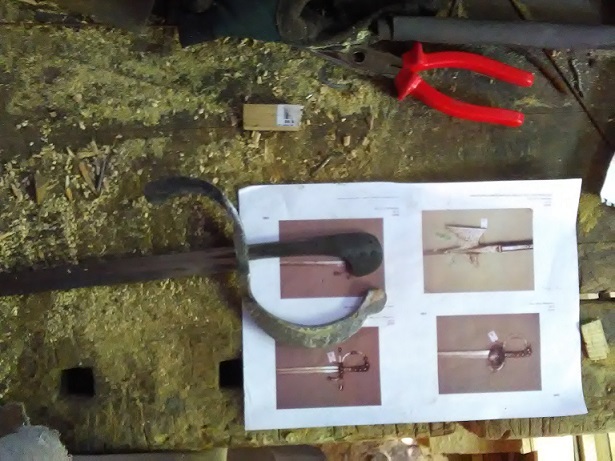 I have drilled and filed a slot for the tang (picture 1; on picture 2 it´s put on the blade), and used an angle grinder for the first rough shaping (picture 3). Then came the difficult part - I had to bend it. 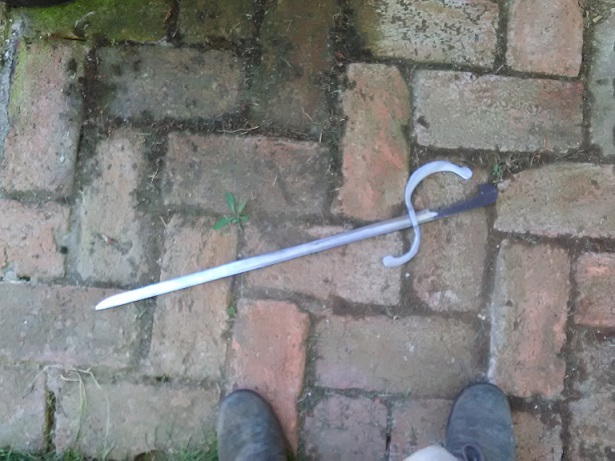 Doing it without a forge was hell of a work, but at it end it was OK and the cross-guard did not crack (picture 4). Now, after some more shaping and cleaning the cross-guard started to take shape (picture 1). The shell was made from a 2mm thick soft steel sheet. I have dished it and filed some decorations (picture 2). 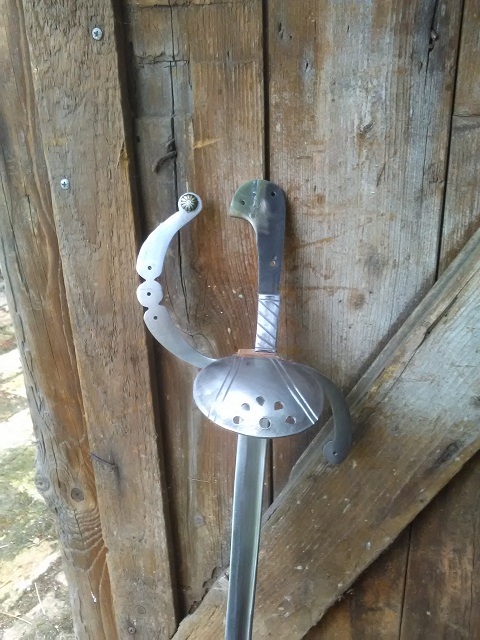 Next I have grilled holes to the cross-guard for decorative rivets, the shell-guard and for riveting it to the blade (picture 3), and I have riveted the hilt together (picture 4). 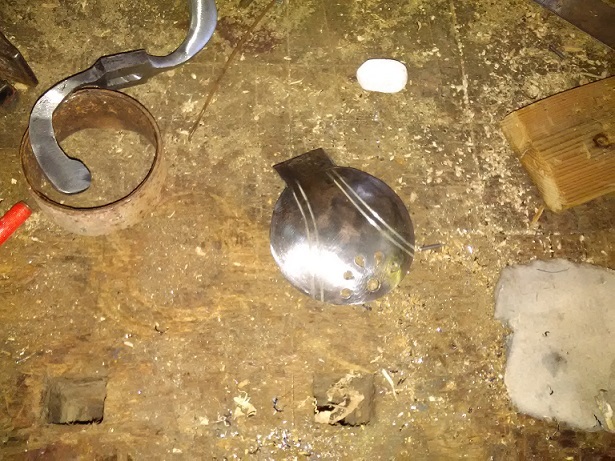 The last picture shows the messer after the first assembly. 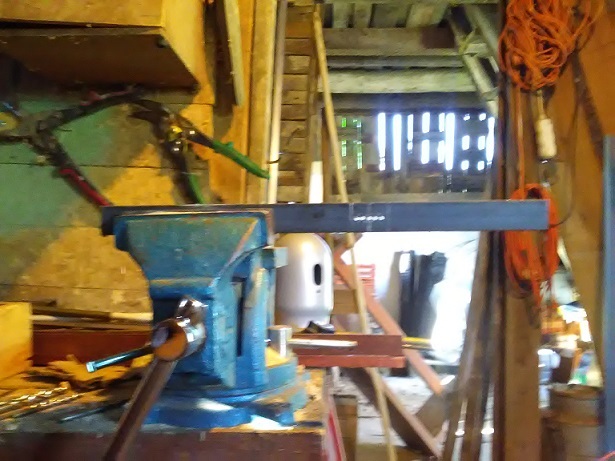 Next I will work on the handle. I´ve finally had some few spare hours this Sunday, so I´ve moved on with the project, working on the scales. 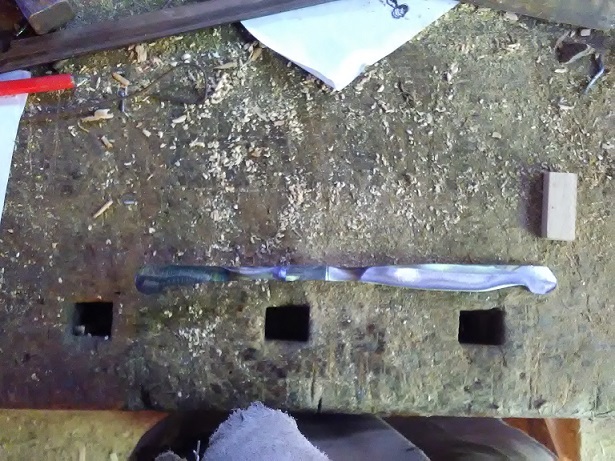 First, I´ve made the lower part from soft steel. 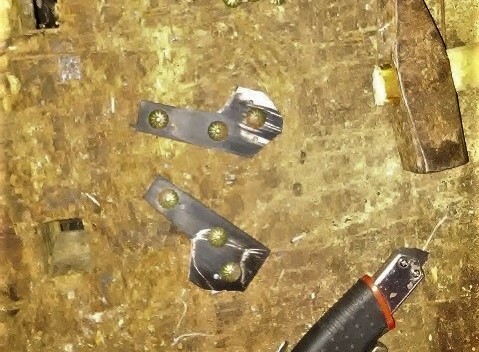 They´re pinned to blade and have some simple decoration - picture 1. As you could maybe see, I´ve put a leather spacer between the guard, and the scales. The upper part is made from black horn. Picture two shows them before the final shaping, with holes drilled and pins with brass rosettes - these are purely decorative. 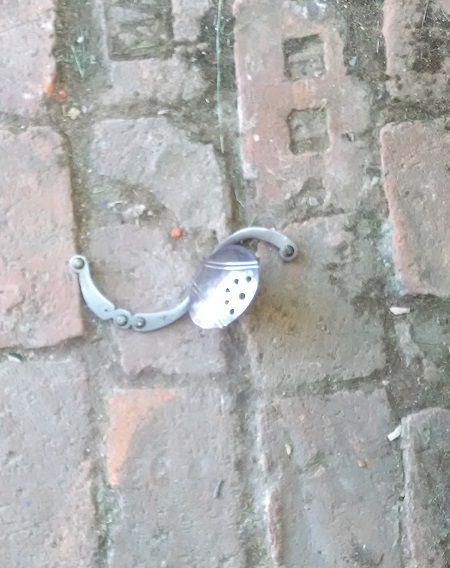 Scales were pinned to the blade with three steel pins. And this is the result, so far. 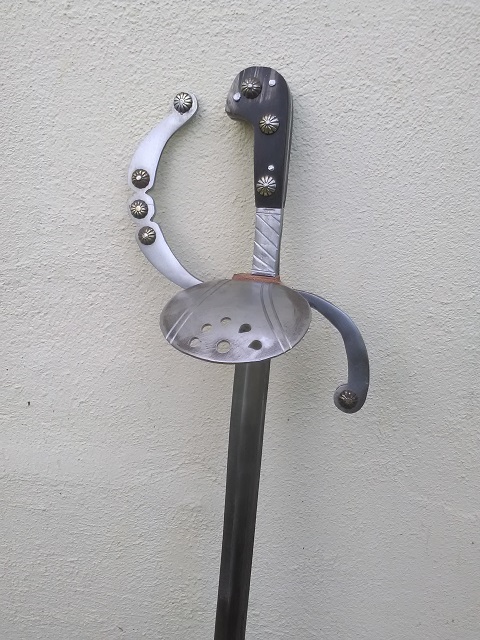 It still needs some polishing (especially on some parts of horn scales), and I will work on scabbard (leather, two layers) and a by-knife.